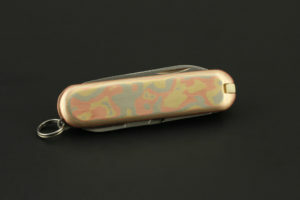 This is a brand new Classic Victorinox pocket knife with a handle designed by Jamie Feinstein Jewelry Design. 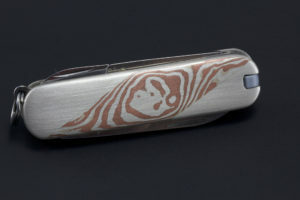 The handle was designed and made by Jamie in his studio located in Omaha, NE using mokume gane (wood grain metal) from 11 layers of metal ( 6 sterling silver and 5 copper. 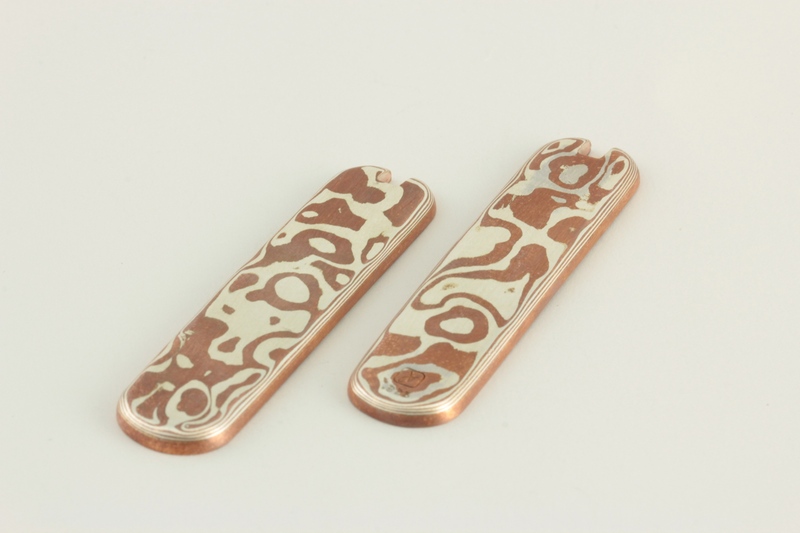 )Mokume gane is a process in metalsmithing that originated in feudal Japan. 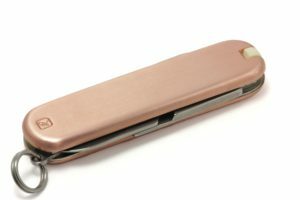 It is a very time and labor intensive process that takes a lot of experience to achieve professional results. 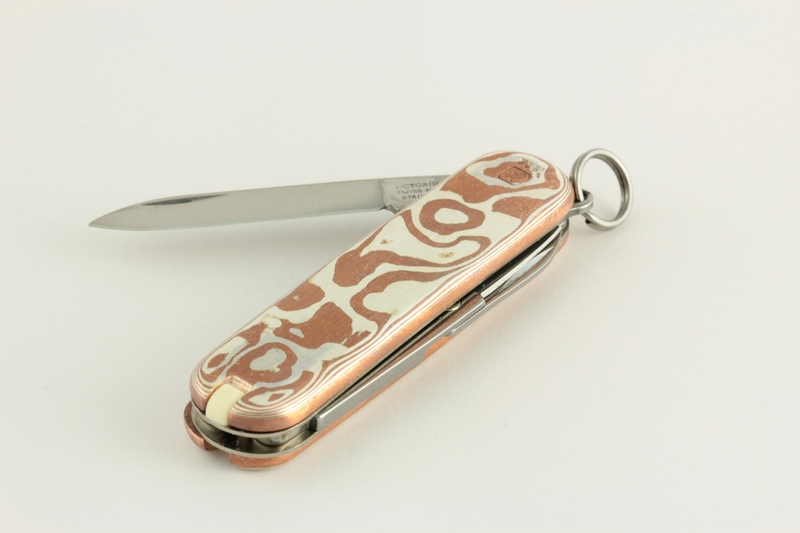 The patterns in my mokume gane pieces are done by hand and thus tend to be like snowflakes or fingerprints. 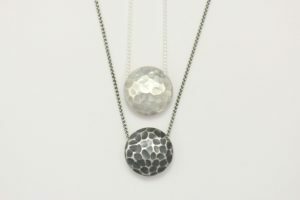 At a glance the pattern may look similar but no two pieces are exactly alike.